There are a lot of traps that people looking to sell their home for the first time often fall into. It’s not their fault though; they’re in uncharted and quite complicated waters. So what are the things you should be aware of when starting the process? 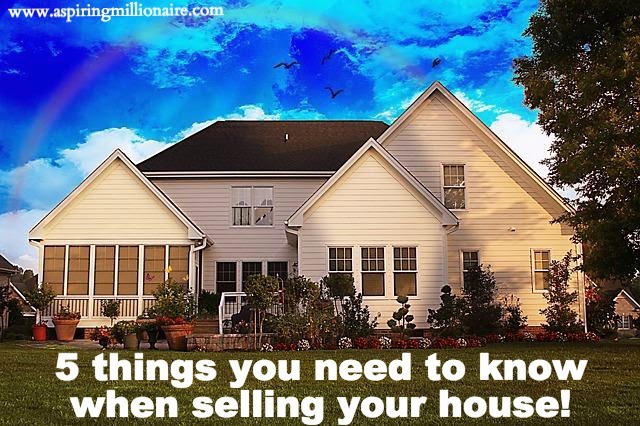 Here are a few things to keep in mind when getting ready to sell. There are so many costs involved in selling your home. You have to account for things like government charges (including stamp duty and registration), marketing costs, the conveyancer’s fees and the real estate agent commission. Leveraging sites like Local Agent Finder will allow you to better compare agents in terms of rates, experience and reach so you can budget more effectively. Your home should be dressed to impress. If you plan to sell, you should be making an effort to remove weeds from the gardens, repaint anything that’s looking a bit worn or drab, and replace any cracked tiles. A good first impression – even if only in photos online – is worth an awful lot and will help drive potential buyers in your direction. How easy is it to get to your property? This is something that many first-time sellers don’t think about because they know exactly where their place is and are used to getting there. But if potential buyers can’t figure out how to find you, you’re going to have a hard time selling your home. Make sure any directions to the property are clear and that you have obvious, eye-catching signage out front to let people know they’ve arrived. First timers have a bad habit of over-valuing their property. Everyone wants to think they’re sitting on a gold mine, but you still have to keep your expectations realistic. This is somewhere an agent will be able to steer you in the right direction. If you don’t go that way, do your homework. Research the last three homes that sold in your area and are similar to yours. See what price they were listed at and what they eventually went for. You want any prospective buyers to be able to visualise your home as their home. That means cutting down on your personal accoutrements. Photographs, personal effects, decorations and even unnecessary furniture should be dispensed with. This serves two purposes: it opens a room up and makes it feel much more spacious, and it makes it easier for a potential buyer to imagine what they would do with the space. If this was a list of all the things first-time sellers should be keeping in mind, this would be a very long article indeed. As it is, these are the five things you should be concentrating on from the beginning. For the most part, it comes back to being informed – if you do your due diligence and prepare accordingly, you’ll get your house sold in no time.